Welcome to Golf on the Go Travels the World, a Division of Cordially Yours Travel. 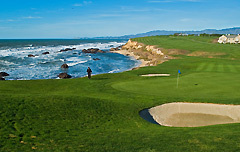 Our division, Golf on the Go is specifically dedicated to Golf travel for both individual and group getaways. Take the time to research our site and explore the opportunities and great resources for you regarding you golf passion. Make tee-times, purchase golf merchandise, books and lessons and instruction videos for yourself or as a gift. Check out our GREAT DEALS link for super domestic and international ideas as well as the Local Events we have scheduled for you to take advantage of. Read and learn how you can TRAVEL AND GOLF FOR FREE. Under our TOOLS link you will find helpful information regarding Passport and Visa info, Travel Advisories and much more. Complete a REQUEST A QUOTE and one of our specialists will respond as quickly as possible to discuss your trip or group departure. Most travel agencies offer the same products at near or about the same price. We (Gwen and Ron Duncan) have selected vendors that are believed to be the ones who will offer a level of service that will provide to their clients EXTRA attention and what sets them apart from other agents and agencies. In business for over 20 years, our goal is to provide the best service and products and to fulfill this promise to each client. We are proud of our experienced staff as well as our excellent service providers and vendors and confident in what they each have to offer. This provides the client the comfort in knowing that the level of service they receive from Golf On The Go Travels The World, as well will meet or beat their expectations. We look forward to hearing from you.